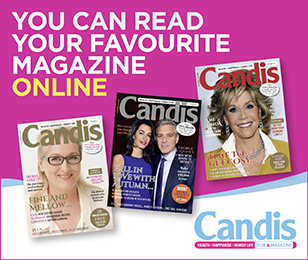 We all love Easter, after all, bar Christmas, it is the one time of the year we can justify filling our faces with lots of flavoursome food, chocolate and of course have some much needed time off work. Giving us more glorious chocolate and adding to its current Easter Egg range, timeless chocolate maker Elizabeth Shaw has launched a new selection of appetising Easter Eggs for 2013. 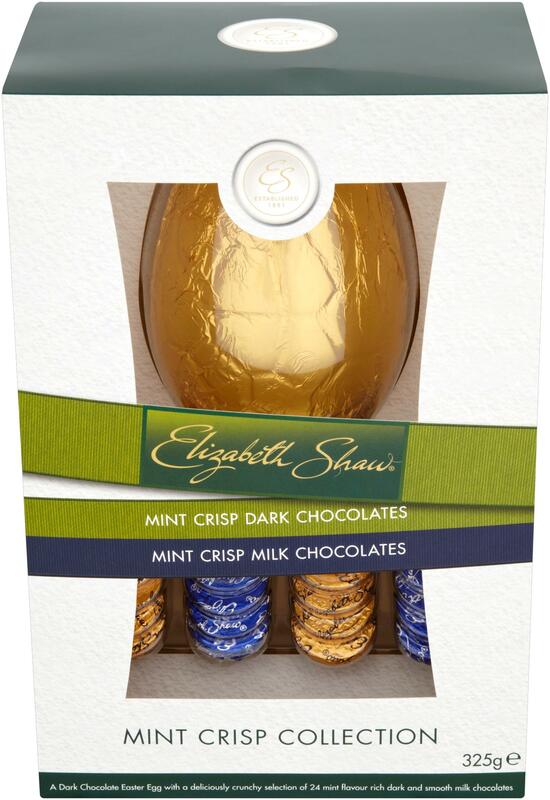 For all you mint lovers out there, Elizabeth Shaw has expanded its 2012 Large Egg range with the introduction of a new mouth-watering Large Mint Crisp Collection Egg, available from Tesco, with a RRP of £9.99. 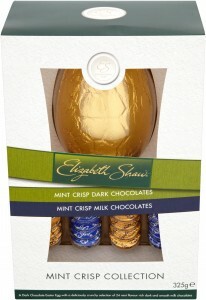 For those of you, who like things a little less eggstravagant when it comes to the size of your eggs, they have also launched a smaller version of this, in the form of the Small Mint Crisp Egg, which contains a hollow deliciously rich dark chocolate egg and a selection of 16 Elizabeth Shaw mint crisps. Fear not though, if mint does not appeal to you, you can still enjoy Elizabeth Shaw’s iconic range in an Egg form, as it has also launched the Small Sharing Crisp Egg, which contains a hollow smooth and creamy milk chocolate egg and a selection of 16 butterscotch, honeycomb, caramel and intense cocoa discs, all with its much-loved melt-in-the-mouth honeycomb crisp. Both the smaller eggs are available to buy in Asda with a RRP of £5.99.